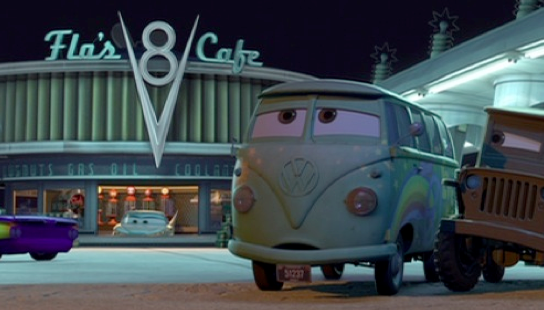 Hey Cars fans! 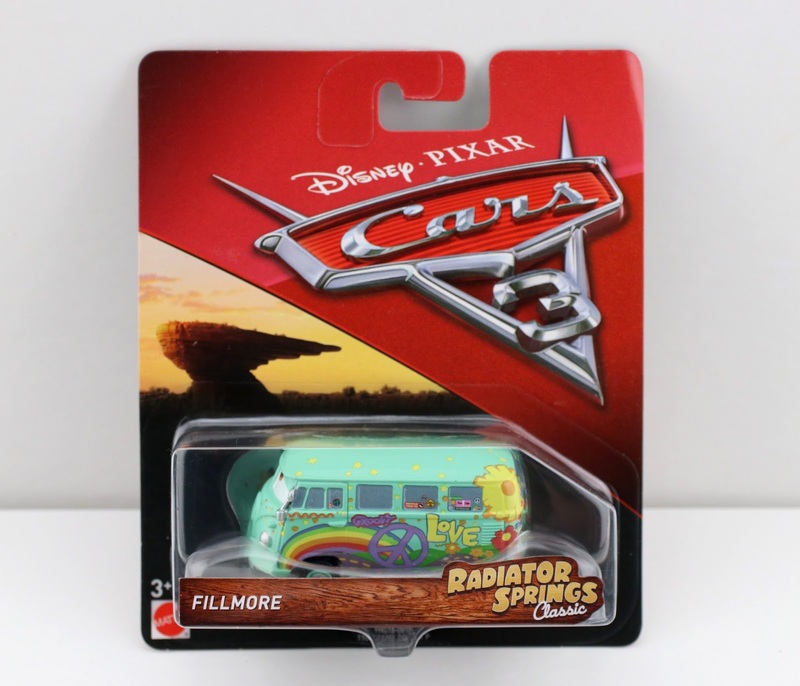 Following my last two posts, tonight I'm taking a look at another new 2018 Toys R Us exclusive "Radiator Springs Classic" Mattel 1:55 scale diecast...Fillmore! Since 2006, almost every classic Fillmore diecast release (classic, as in not "Team 95" from Cars 2 or "Pit Crew", or themed like Star Wars or Christmas, etc.) has looked almost identical with [virtually] always the same expression. With this new release however, they finally gave him an updated look! At first glance I thought this was the same old repackaged Fillmore—until I looked closer and realized this one was new enough for it to be a must have. 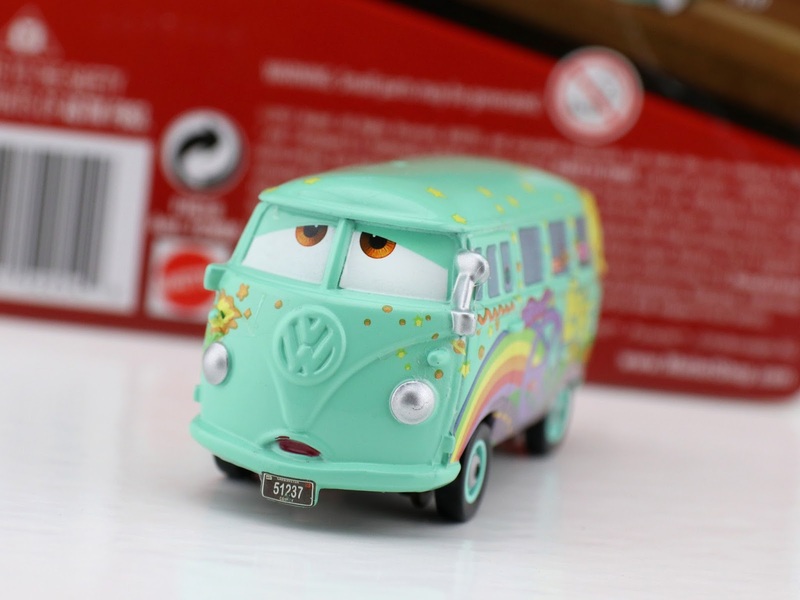 Though the packaging says Cars 3, Fillmore's expression on this diecast is most certainly inspired by his classic introduction in the original Cars more than anything (so I put a screen shot from that scene above); "I'm tellin you man...every third blink is slower." It's about time we get a Fillmore with this look! Man, is it perfect. Mattel really did a good job here. Other than the new expression, the rest of Fillmore is really the same as he's always been (I don't believe there are any other big changes or updates). 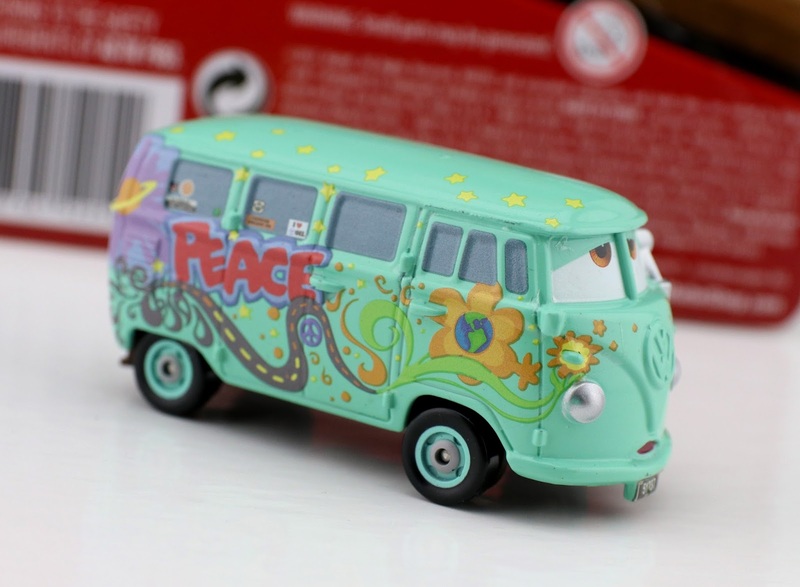 This one will look so great with my Radiator Springs diorama/Precision Series playsets alongside Sarge. I really hope Mattel releases a blinking yellow stoplight as an accessory as well! I feel like the town isn't really complete without that iconic set piece. Whether you're a casual or diehard Cars collector, I definitely recommend picking up this Fillmore if you see it. Though I know it's only a slight change in his look since his last release, this is probably my favorite Fillmore diecast thus far. What are you thoughts?! Check you local Toys R Us for availability and be sure to let me know what you think in the comment section below.